The US Department of Agriculture (USDA) provides insurance for home mortgages in rural areas.  These loans provide 100% financing, based on a homes appraised value. They are not for financing working farms. The only loan product available is a traditional 30 year fixed rate mortgage. An upfront and monthly guarantee fee is required and the loan is for purchase and rate and term refinance transactions. Sellers are allowed to pay closing costs. Click here to see if a property qualifies. Click here to find local income limitations. • For purchases, 1% upfront fee paid at closing, based on the loan size. • For all loans, 0.35% annual fee, based on the remaining principal balance. Example, a $100,000 loan size in Hanover County, Virginia, would require a $2,750 mortgage insurance payment at closing, and $50 of mortgage insurance paid monthly.